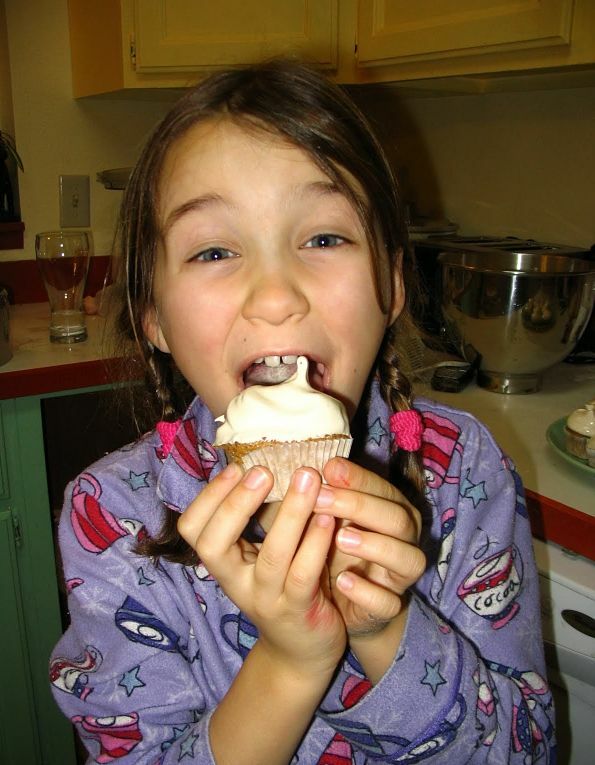 When our girls started 1st grade, they discovered they weren't the only children in the class with food allergies. One had another gluten-free child in her class. The other has two gluten-free, one casein free, and a couple of children who needed to avoid corn. So I began to test recipes, trying to find one that would work for the inevitable birthday parties that seem to be weekly in elementary school, but keeping it safe for all of these children. 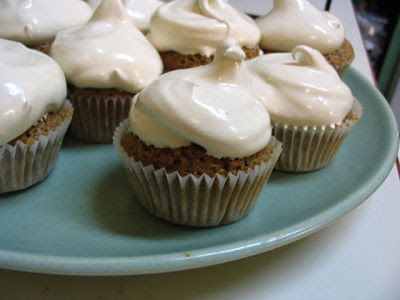 It's not easy to make flavorful frosting without confectioner's sugar. Most confectioners sugar has cornstarch in it. I tried honey but the texture wasn't perfect. When other classmates had their birthdays, frequently these food allergic kids got to settle for a candy bar (stored in the teachers desk) instead of the commercial cupcakes that those lucky moms could pick up at the local supermarket. For their own birthdays, I really wanted them to have a great party, just like the other children. Kept searching, looking through wartime cookbooks for inspiration on the dairy free component. Then I found the recipe that inspired this one. Boiled Frosting! I substituted Maple syrup for the sugar, building a bit of flavor into the frosting. Piped on top of the perfect gently spiced cake. Have you come up with options for your Gluten-Free child? Fluffy and safe for most food allergic people. Simple to make, using perfectly safe egg whites. 1. Beat together for 7 minutes or so in a stand mixer till the frosting is fluffy and marshmellowy. 2. Spread on spice cupcakes.